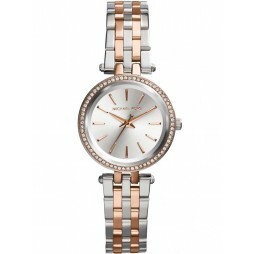 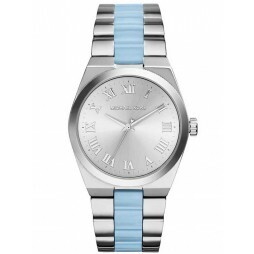 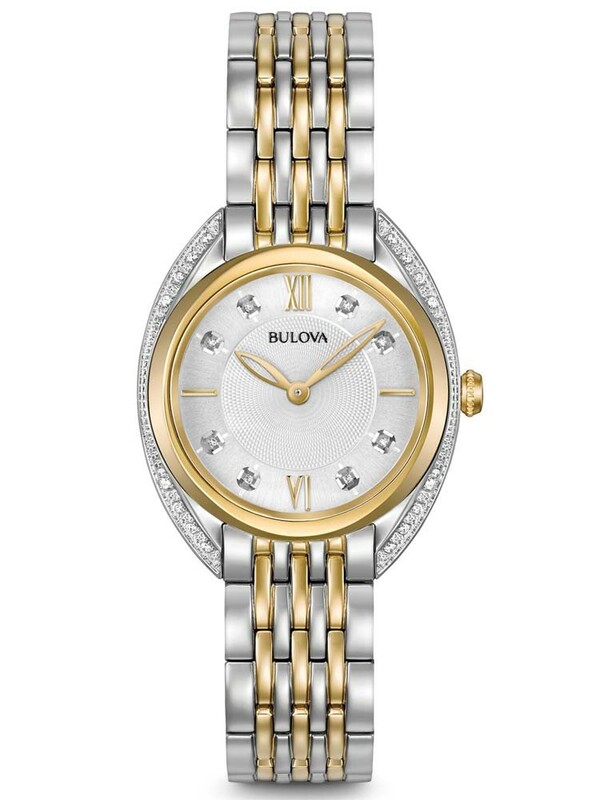 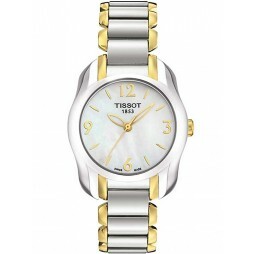 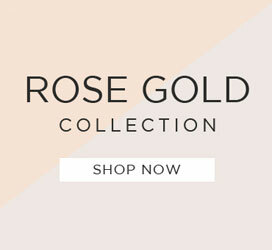 Adorn your outfit with this beautiful looking ladies watch, set with a collection of sparkling diamond stones. 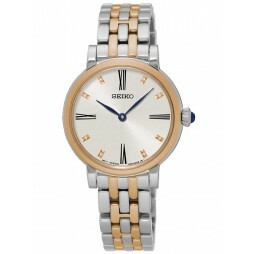 The silver dial features gold toned hands and accompanying hour markers. 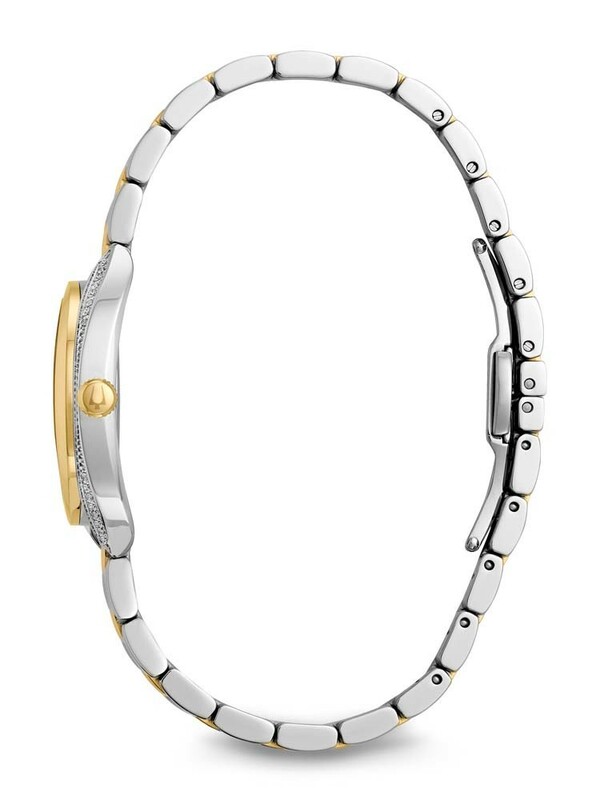 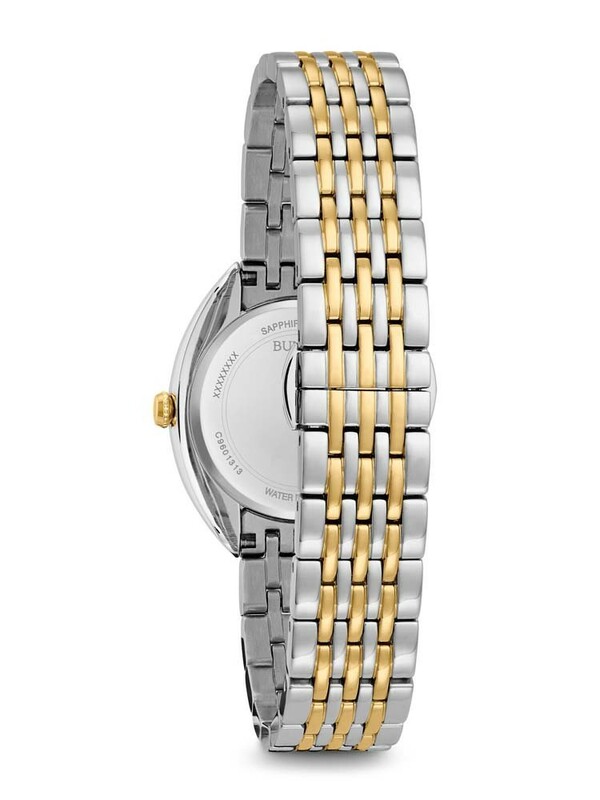 Fastens securely using a stainless steel bracelet.